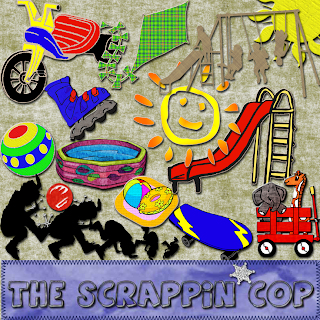 The Scrappin Cop: Summer Fun - the Elements! Summer Fun - the Elements! Hi All! I didn't get to post these yesterday because the stupid internet was down at my house, but better late than never I guess! I'm moving on with the new theme, summer fun. It really turned out to be more toys than anything else but they're cute and different. I'm still working on the patterns, hopefully the internet will cooperate today and I can get them finished and posted! Also, I wanted to share this awesome layout that Amy sent me of her husband when he was a little boy - using the baseball patterns and elements! Awwww, isn't it cute? It inspires me to see how everyone uses the things I post here. I have found that I spend so much time making the designs that I have not spent much time scrapping the 5g of photos that I have! LOL, maybe when I go on vacation I'll get started on those. Thank you! Your blog post will be advertised on the DigiFree Digital Scrapbooking Freebie search engine today (look for timestamp: 01 Jul [LA 03:33am, NY 05:33am, UK 10:33am, OZ 08:33pm]). these are great!!! Have you heard of our ADS Designers Yahoo Group?? We are a great bunch of all experience levels. 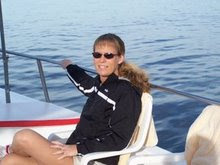 I really love your stuff and we would love to have you in our group!! These would fit in so well with our new collab Backyard Playground. I want to say a BIG THANK YOU!! 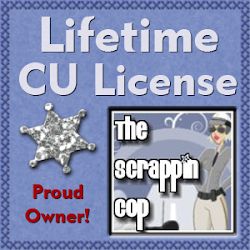 for all the wonderful CU goodies you share with us! !